Want to cross "Figure out what to wear" off your holiday to-do list? 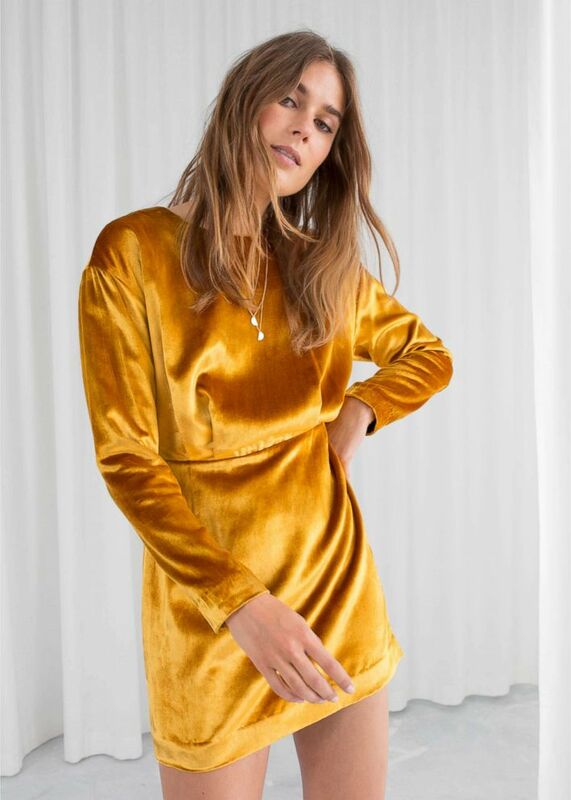 We have one word for you: Velvet. The ultra-soft fabric has arrived in rich jewel tones to elevate your style and let you love the skin you’re in. Sophisticated, sumptuous and party-ready, these looks are versatile enough to wear to every holiday party or any time you want to feel good. These products were curated by the Hinted editorial team. Hinted is the social shopping platform that lets you create lists of what you want to buy, and discover what’s new and trending. Use Hinted to keep track of anything you want to buy from anywhere online, including fashion, trips, and experiences. "Good Morning America" has affiliate partnerships, so we will get a small share of revenue from your purchases through these links. All product prices are determined by the retailer and subject to change. By visiting these websites, you will leave GoodMorningAmerica.com and any information you share with the retailer will be governed by its website's terms and conditions and privacy policies. Style Hint: Wide-leg velvet pants are a party "DO!" Make them the focus of your outfit by pairing them with minimalist separates like a delicate blouse and simple flats. Accessorize with bubbly and the dance floor. 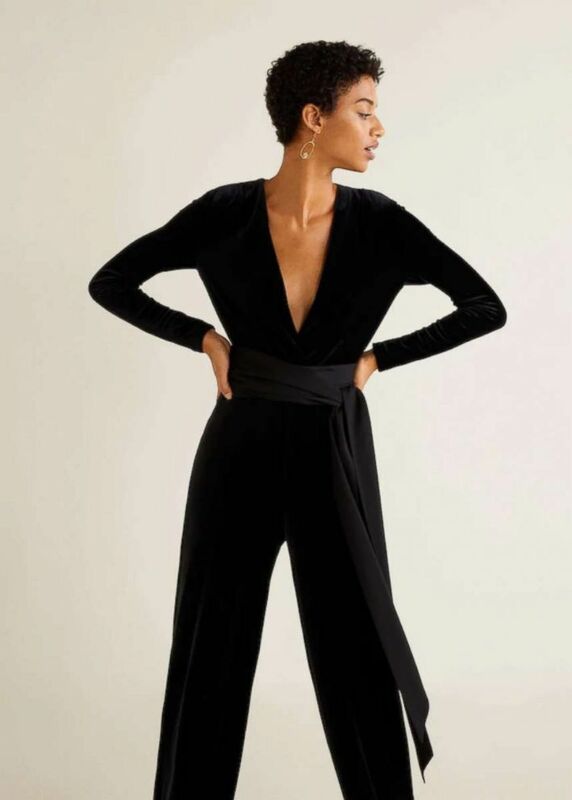 We’ve renamed this jumpsuit "One-derful." Its throw-it-on-and-your-done design is just what you need to cut through the holiday fuss. Style Hint: The neckline is revealing, but don’t let that stop you. Too low? Slide on a sleek black camisole. One we like is Fisher’s Finery Pure Mulberry Camisole, or have a tailor add a discreet hook-and-eye. Get ready to shine in the holiday color that’s eclipsing all others: Golden citrine. Style Hint: You can change the vibe of versatile this mini-dress with a quick change of shoes. For work, pair it with tights and tall boots. For parties, go with bare legs and strappy sandals. File under how to dress up for work parties without really trying. 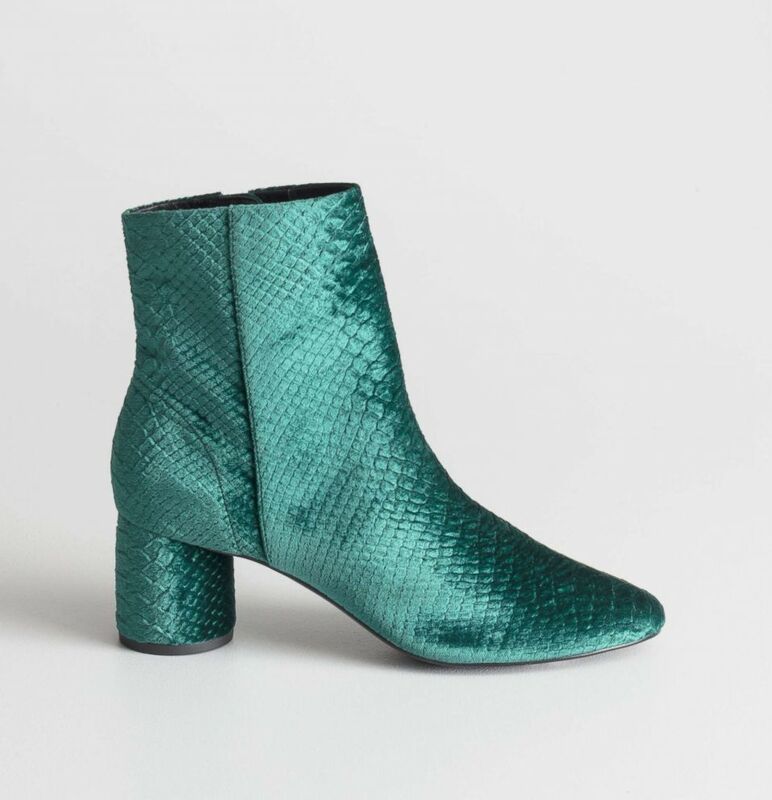 Style Hint: Pair these emerald beauties with a monochrome suit for a pop of unexpected color and attitude. To play up the color contrast mix with head-to-toe black or winter white. 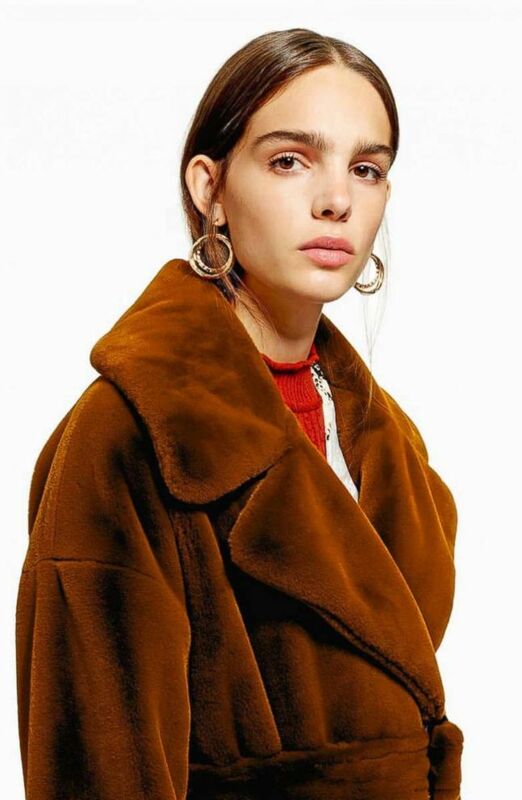 Upgrade your teddy coat to one in opulent velvet. Style Hint: On festive nights when you’ll be out and about celebrating (parades and lighting ceremonies) swap out this coat’s original belt for one that’s embellished with shimmering rhinestones. It adds an instant splash of glamour and still plays well with sneakers. Style Hint: Channel your inner French girl and make the most of those shining satin cuffs by keeping accessories to a minimum. Add pearl earrings, booties and nothing more. 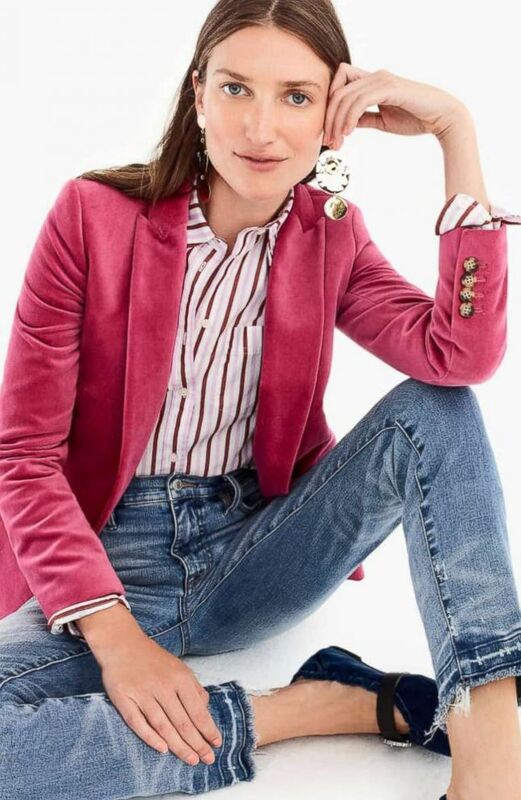 This sweet blazer is our idea of a sugar-coated holiday. Style Hint: Transform your most casual Saturday outfit into a party-worthy look by throwing on this posh topper. Add heels or velvet flats to complete the polished look. Create your look from the bottom up! 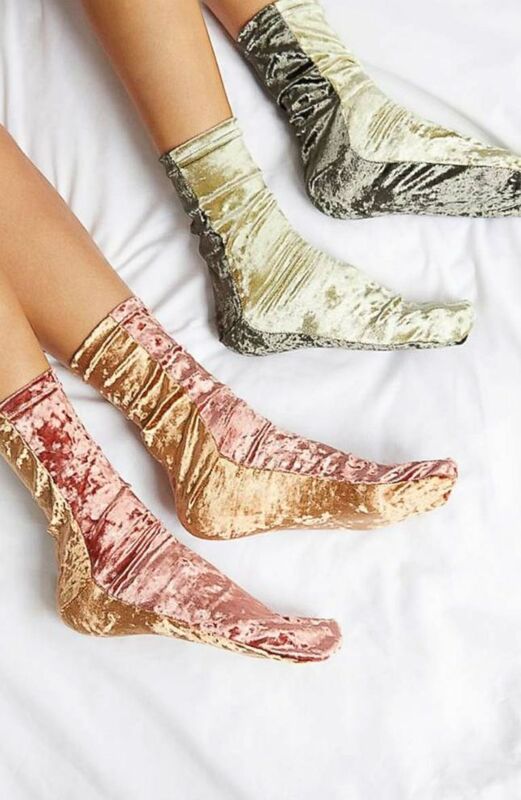 Style Hint: Turn casual shoes, like low-combat boots and sneakers, into party favorites when you slip on these velvet two-tone socks. Feeling daring: Pair them with strappy metallic or velvet heels! 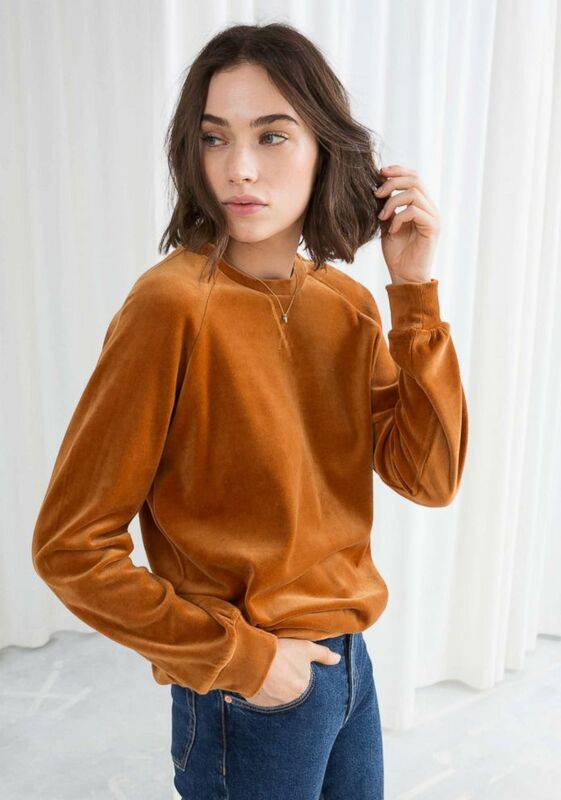 You can always say yes to spontaneous entertaining when you have a sweatshirt that looks both ritzy and relaxed. Style Hint: Throw this on with jeans when last minute invites pop up in the inbox. Have more time? Wear it with a metallic pleated skirt and velvet sandals to match. 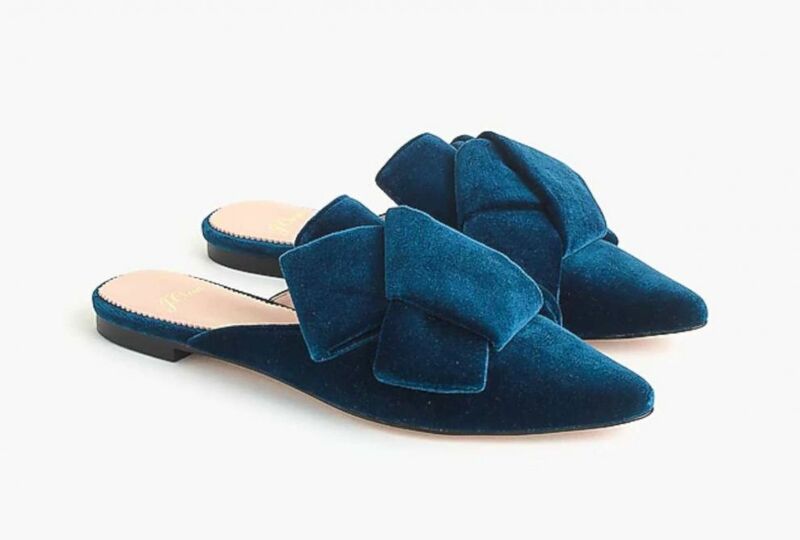 Welcome guests in shoes that feel as cozy as your favorite slippers! Style Hint: Make the most of the flats-and-dress trend by pairing these with a leopard dress or a slinky asymmetric skirt and chunky knit. This holiday give yourself the gift of being comfy!